Since I’m a day late, I’m gonna talk a bit about the fact that I don’t do grad school stuff all day every day. I actually tend to work in the 40-50 hours per week range. And part of that is because the type of project I have right now is fairly time-dependent, so there’s just not much I can do at 2am. Each experiment I do takes a few hours (inject embryos), then 24 hours later a few more hours of work (dissect spinal cords and culture* them), then 24 hours later a few more hours (fix and stain the spinal cord cultures). *culturing is basically the process of growing cells or tissue outside of the organism (i.e. in vitro). For instance I grow chunks of spinal cord on glass dishes (that way they’re near other cells, which helps the neurons grow better, but they extend out axons so I can image individual axons without other cells getting in the way). So my work isn’t super conducive to staying in lab all night (it may happen, and I’ve done it before, but it’s far from the norm). Also when picking my program and picking rotations, that was a huge thing I was looking for: an expectation of work/life balance. Because I love science. I love doing research. I love being in lab. But I want to keep loving it. I’ve talked to several people with PhDs who said that by the time they finished, they hated research and regretted getting their PhD (or at least weren’t entirely sure they’d do it again if they could go back). And my career goal is to actually stay in research doing some amount of bench work rather than get out of it (typically faculty move out of the lab the further they get in their career; but that’s not the track I’m interested in). Also I’ve seen no evidence that putting in 80 hours per week makes you twice as productive as someone who works 40 hours per week. Heck, it doesn’t even seem like it makes you any more productive at all. Especially if that extra stress caused me to question being there or to potentially drop out. I’d rather focus on using my time wisely and enjoying my life. Because yes, I have career goals, and I love what I do, but my primary goal is to be happy. And there are grads students who definitely work 60+ hours every single week, and if that works for them, that’s great. But that doesn’t work for me, which is something I realized awhile ago. So for anyone who’s afraid that grad school necessarily demands all of your time: it can if you pick the wrong lab or program for you, but it doesn’t have to. And you’re not a failure or inferior if you don’t want to spend every waking moment in lab. In fact, I think knowing how to prioritize activities and be productive with limited time are far more important than working constantly. So take that extra time to eat your lunch outside and take your Saturday off to hang out with friends and pet their cats and dog! That’s what I did today and it was great! So how LGBTQ-friendly is science anyway? Before going to grad school, I had heard about the dismal representation of LGBTQ faculty in STEM: science faculty are overwhelmingly straight, white, cisgender, men. Women are underrepresented; lesbian, gay, and bisexual people are underrepresented; and transgender people are really underrepresented. Which is pretty similar to most fields. And I had gone to an incredibly LGBTQ friendly undergraduate institution, so I expected to be thoroughly disappointed in graduate school. Sure, I was applying to schools in liberal cities (San Francisco, Seattle, Madison, Minneapolis), but I knew it would be nothing like my undergrad (and especially not like my friend group in undergrad, which was majority LGBTQ). And I have to say, I was actually pleasantly surprised to find out how many grad students I know who are LGBTQ. Maybe there’s some confirmation bias, but I feel like I know a fairly large number of grad students (including several people in my program and in labs I rotated in; people I see fairly often). This article “Why is Science so Straight?” delves a bit more into this topic of LGBTQ invisibility. And while the author Dr. Manil Suri’s experience was that personal lives were rarely talked about, I’ve found that less true of my graduate experience. And this may be another reason that I know many LGBTQ grad students and no LGBTQ faculty: I don’t talk about personal lives as much with faculty. And I think times are definitely changing. Certainly LGBTQ youths’ experiences today are drastically different than youths’ 20, 30, 50 years ago. Today there’s also institutional support and organizational support that just didn’t exist, even 15 years ago. For instance, Out in STEM is a relatively young national organization that is rapidly spreading to Universities across the country. There are now scholarships such as the Out to Innovate Scholarship for LGBTQ undergrad and grad students in STEM. And at least at UW-Madison, there are also purely social groups for LGBTQ grad students to connect. And while things are definitely better than they used to be, are better than in many other fields, and are better than I had expected, there’s definitely still tons of room for improvement, especially in terms of making science welcoming to transgender researchers. I saw this list of 13 female scientists who are doing major things in biotech in Silicon Valley and #1 is Dr. Jennifer Doudna, a faculty member at UC Berkeley who helped develop a technology you may have heard about: CRISPR/Cas-9. It’s the hot, new thing in biology research (for good reason) and could have implications for medicine as well (though they say that about every new biological and chemical tool and nothing ever works quite like we expect it to when we try working with humans). So I wanted to explain a bit about what exactly it is beyond a “gene editing technique.” While I’m not using this tool right now, I had a related project in one of my rotations, and I may end up using it in the future (frogs have extra copies of chromosomes [humans have 2 of each] which makes genetic modification more difficult than in mice or fruit flies, but CRISPR/Cas9 works well and could be really useful for us frog people). So what is it? First of all, in case you hear it spoken, it’s pronounced “Crisper Cass Nine”. The CRISPR part of it refers to the process (it stands for “Clustered Regularly-Interspersed Short Palindromic Repeats” but I actually had to google that because I didn’t know what it stood for, so not too important): it’s basically an immune system for bacteria (and archaea). Using this system, they can recognize foreign DNA and chop it up so it can’t do anything (such as be used to make proteins that infect or kill the cells). So CRISPR is the name of the process and Cas9 is the name of one of its effectors. Cas9 is the protein that does the chopping. It’s called a nuclease (nucle=related to nucleic acids like DNA and RNA and ase=it cuts something). So Cas9 is a protein, but it can hold a piece of RNA that basically acts as an address. That piece of RNA can bind to the matching piece of DNA. And Cas9 will only cut when it’s RNA (called the “guide RNA”) matches the DNA (it doesn’t have to be a perfect match, but it has to be pretty close). And in its natural setting (bacteria and archaea), the guide RNA comes from foreign DNA that gets into the cell, so Cas9 targets this foreign DNA and chops it up. But in model systems in the lab, we can put in our own guide RNA. It’s very easy to put DNA or RNA into cells. You can inject it (which is what you often do for frog embryos), you can electroporate it (electrically shocking the cells so that the cell membrane opens up and lets things outside the cell [such as the DNA you put in the media] in; this is used a lot with cell lines), you can introduce a virus (retroviruses will insert DNA sequences randomly into the genome). We’ve been able to do that for a long time. The problems were that either the DNA wouldn’t actually get incorporated into the genome (and DNA not in the genome sometimes doesn’t work as well as you’d like, and it won’t get copied and passed on if the cell divides), or it would get incorporated into a random part (which could disrupt other genes or cause other unintended problems). But with CRISPR/Cas9 and a guide RNA for a specific sequence, you can make sure the DNA gets cut exactly (well, almost) where you want it to. Then the cell tries to correct that cut and it can do that in a couple of ways. It can try to just stick the two ends back together (which often leads to insertion or deletion of a few bases which can break the gene; this is called non-homologous end-joining). It can also try to repair the broken spot by using a template to remake what was damaged (this is called homologous recombination). 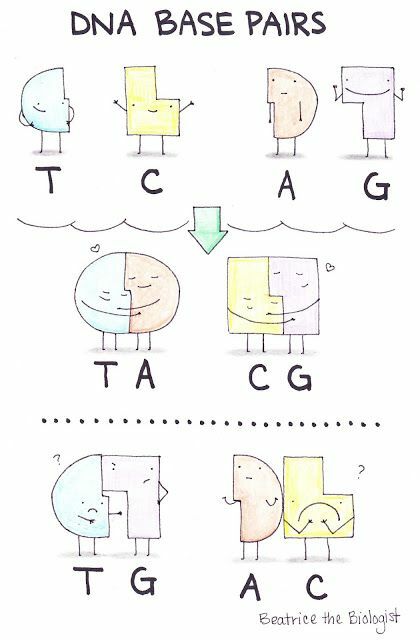 And you can inject (or electroporate) a piece of DNA that provides a template that includes a new piece of DNA with whatever you want (for instance the blue “DNA” in the cartoon below). This is one of the easiest and most effective ways we have of introducing a specific DNA sequence into a specific part of the genome, which is what makes it so exciting. And from a medical standpoint, this could be really cool. A lot of diseases are caused by problems in single genes. If you can replace the bad gene with a good copy, the disease may go away (or at least not get worse). And with CRISPR/Cas9, you could potentially very faithfully insert a good copy in place of the old one (you can have two guide RNAs to cut on either side of the bad gene to remove the whole thing). The first trick with doing this in humans is that you have to still get the guide RNA, the template DNA, and the Cas9 protein (or the DNA to encode it) into all (or at least many) of the person’s cells. And there isn’t a super great way to do that yet (viruses are the best, but they never seem to work as well as they “should”). The second is arguably a much more difficult problem: ethics. One of the things that makes CRISPR/Cas9 so valuable for research is that it changes the DNA in the genome for the vast majority of the cells: including germ line cells. Germ line cells are the cells that become gametes, i.e. eggs and sperm. Which means that if you use CRISPR/Cas9 to treat someone, you will not only be changing their DNA, but the DNA of any children they may potentially have. Which doesn’t seem like a terrible idea for most heritable diseases, but we as a society have no idea where to draw the line. What even counts as a disease? That’s something that changes more than you might think. What’s the difference between a difference and disease when we define a lot of diseases (particularly neurological/social ones) as a difference from “normal”? * So until we can answer those basic questions, most people agree we probably shouldn’t mess too much with genome editing in people. *I personally think the desert island test is a handy rule of thumb. If someone with a given condition would be perfectly happy alone on a desert island with nobody to treat them badly for being different, it’s probably just a difference. If they would be unhappy because the condition itself causes pain or suffering, then it might be a disease. Of course a lot of it is squishy and difficult and impossible to separate from society and culture. I was just about to publish this post when I saw this article on CRISPR/Cas9 being used to modify (nonviable) human embryos. Talk about good timing. As the article mentioned, this is the second publication in which nonviable human embryos have been modified with CRISPR/Cas9. These two articles’ goals were proof-of-principle for therapeutic editing, so even though the embryos were nonviable and a product of normal IVF procedures, many scientists think these proof-of-principle studies should not be done until we’ve decided whether therapeutic editing is ethical (or under what conditions it’s ethical). As the article mentions, a UK group has also gotten approval (but not published results yet) to use CRISPR/Cas9 to study development in viable embryos. However the goal of the UK group is to study developmental processes that contribute to miscarriage (and their protocol has strict rules about the timeline of experiments so the embryos will get no further than a roughly spherical ball of cells about the size of a poppy seed), which is a fundamentally different goal. What do you think? Should we explore the use of CRISPR/Cas9 for explicitly medical purposes? Should it remain a research tool? Should it be used only for certain types of medicine? Only certain types of research? Plenty of existential questions to think about this weekend! Scientists are just as prone to following fads and overvaluing (or undervaluing) certain brands as anyone else. We get superstitious about which companies or brands (or journals or labs) are the best, often based on almost nothing (or absolutely nothing), just like everyone else. But there’s one huge place where this can be a serious problem: publications. The way science gets disseminated is through publishing articles in peer-reviewed journals*. And people talk about prestige of journals, which is in large part based on impact factor, a single number (with plenty of flaws). And that number largely determines whether it’s a “good” or “bad” journal. Additionally certain labs are known for being published in “good” vs “bad” journals, and where someone publishes (or where a lab typically publishes) is seen as a mark of the quality of the scientist. *there’s plenty of debate about whether this is even the best way to disseminate information. See my previous post; this blog devoted to publishing research in real time; this article which gives you a taste of how difficult articles can be to read and understand; and this article about the challenges of open access. Now there are a few obvious problems with this. Impact factor is a flawed measure. It’s just the number of times a paper gets cited divided by the total number of papers published. But people give highest weight to the journals with the highest impact factors, so they get cited more. So you get a positive feedback loop that overestimates the value of the “good” journals. We tend to assume that just because something is published in a “good” journal, it must be a good article. And this isn’t actually true. The best journals (Science, Nature, Cell) are also generalists. They tend to publish more flashy, exciting research that is broadly applicable or of interest to a larger variety of people. That means a paper could get rejected from one of those journals, even if it is incredibly high quality research, simply because it’s too specific or not (obviously at the time) applicable to broader research areas. This contributes two sub-problems. When someone looks at this researcher’s CV or resume, they only see that they published in a lower impact journal unless they take the time to read the actual article (and are familiar enough with the area to realize that it was excellently done). This can hurt researchers who do excellent work. Especially since the whole point of research is that you don’t know the answer, so it can sometimes be difficult to tell whether or not what you’re studying will be broadly impactful or not. The high impact journals are more likely to have retractions. Part of this is that they’re read more, so they get more feedback and criticism, so errors are more likely to be caught. But this is also because the pressure to publish in a good journal (and to publish the new, flashy finding before someone else beats you to it) means that sometimes this research can be rushed, causing flaws in the methodology or conclusions drawn to be overlooked. **Santa Cruz Biotechnology is a the largest producer of antibodies. The thing about antibodies though is that to be most useful, they need to do 2 things: 1) bind to the thing they’re supposed to bind to and 2) not bind to anything else. There are ways to test that this is true for your antibody, but most companies don’t verify the antibodies themselves. They typically leave that up to the researchers (and then if you’re lucky someone will have published with it or will have posted a review so you know whether or not it works before you order it yourself). So because Santa Cruz Biotech produces so many antibodies, but doesn’t verify them, there are a lot out there that are unverified. You basically end up with a higher likelihood of getting one that doesn’t work just because they make so many. But then they get the reputation of being unreliable.